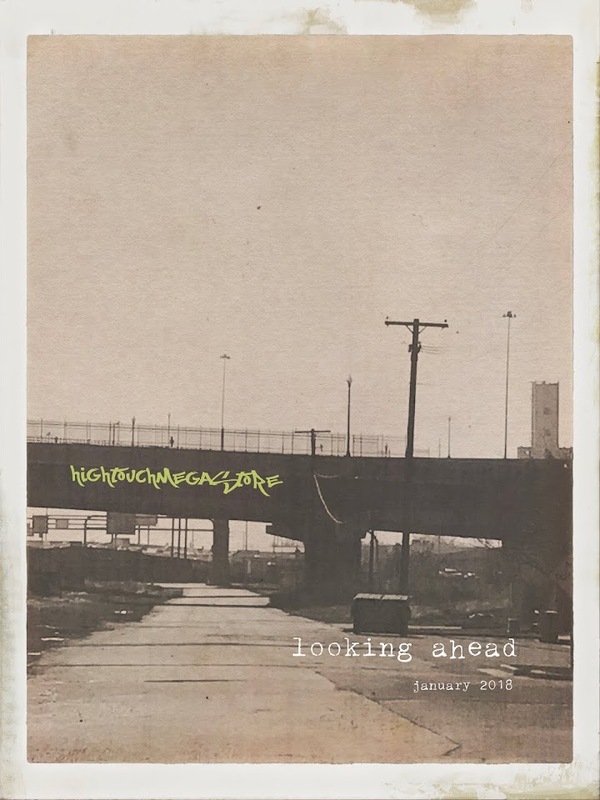 Good things: a current list. (1) tiny little art piece by Naomi, posted in my office. 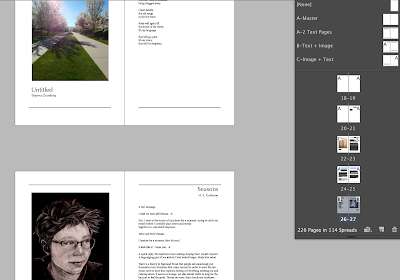 (2) progress on layout for the 2e SLCC Community Anthology. (3) quiet weekend, mostly at home, getting stuff done. (4) eating leftover sausage pizza in my office--getting a little hit of fennel. (7) FYI, it is a holiday week, and I could not be happier. (8) this apple I am currently eating. (9) a thing called 'sipping chocolate' at Trader Joe's, which may be life-altering? it's seasonal, though, so you should (a) buy it now, and possibly (b) stock up? 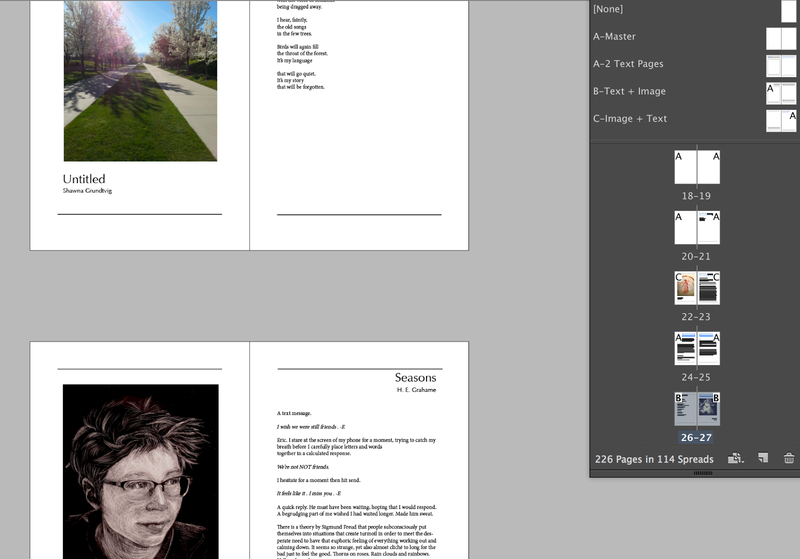 And now, I am diving back into InDesign, which, weirdly, has become a kind of homey place to hang out, what is wrong with me? NOTHING, that's what. I am just fine, and now I can apply paragraph styles to content I have put into pages I have applied master pages to, what is WRONG WITH ME. This year is the year I have dubbed Mortality Lessons. I've joked that I think I'm ready to take the quiz now, I'm ready to stop immersive study practices and show I've learned the material, maybe even mastered it, I think I will ace it, enough already. I'm not sure that's how Mortality Lessons actually works. My sister E had not one, but two strokes this summer. She has been recovering ever since, doing all sorts of therapy, and making impressive strides. Her friends and family are ardent supporters. My sisters--there are three of us--were and are the squad (SQUAD!) for my dad as he has recovered from his own brain events. At the moment, though, E has to make getting better, recovering, her main focus. This is one of the statements on her Wall of Truth. The Wall of Truth is my younger sister's invention, and it is genius. These statements are written on pieces of white paper in Sharpie, and taped to the wall opposite the bed and chair. Other statements include the dates of her brain events; the location of her two daughters, and the fact that they are all right; and other pertinent facts about E's here and now, which can feel a little elusive sometimes. The Wall of Truth is supposed to help in making the here and now a little bit more stable. More confirmable. Look up, and there are the bare facts of the case, the incontrovertible, the inarguable. Truth: the inarguable here and now are sometimes unbearable. Truth: the people who love us are infinitely precious. Truth: the burdens we bear cannot, for the most part, be made easier to bear through better thinking or better organizing. We just have to bear them. Truth: still, sometimes we can use a little help. Some of the sweetest conversations of my life I've had this year, with my mother, my father, my sisters, my brother. My therapist pointed out that one of the reasons the sweetness, and the grief, both feel so sharp is that these conversations--these circumstances--are sacred. That rang true to me. The sacredness--the way this year has felt set apart, a steep swerve into another realm--intensifies both the grief and the grace. Today I came home from a long but good day, feeling like I had done a pretty good job at all the job things that were on my agenda. I told the historian so, and he offered a kind word, affirming what I felt. It's my habit to simultaneously hold this kind of praise, and to demur. "Thanks for saying that," I said to him. "Well, it's true," he said. "Maybe you need a Wall of Truth." Truth: the end of the day Friday is the sweetest moment of the week. Truth: I really, really love my family, all of them, in an infinity of times and places. There will never be enough words for this. Truth: there is also never enough time. Truth: I need to arrange to get a CT Angio, stat. "Manafort," I said to my husband, his sweet head still on the sweet, sweet pillow of early morning. Last night, I had the strangest dream. I was traveling, and it was complicated. (Maybe I couldn't choose between my three U.S. passports with different numbers--I think maybe that was it.) Anyway, while I was traveling, things turned into a plan to help America heal its political divides. The historian was with me, I think. Also some of my kids, and maybe a few other people. And also John Boehner, with whom I was prosecuting a very intense argument. "You liberals don't have any respect for any conservatives," scoffed John Boehner. "That's patent nonsense," I rejoined. "I drive from a family tree of conservatives. I respect John McCain, for instance, even though I disagree with him on most policy matters." "McCain!" scoffed John Boehner, implying in his scoffery that this is a too-easy answer, that everyone likes to say they respect John McCain. "Well, what about you, John Boehner?" I said. "Who on the left do you admire or respect?" This brought him up short. If he'd been on his game (although, to be fair, it was MY dream), he might have said Joe Biden, since it's clear that almost everyone likes Joe Biden, perhaps in excess of his pre-Obama record, but still. But he didn't. Instead, he reached into the pre-modern era. This is where my dream-memory gets sketchy. He named a founders-era person, and I said, no, come on, John Boehner, it has to be someone closer to the present. Robert Mueller, when I told this story to the historian this morning, he snort-laughed. I hope that you will be amused, although to be honest, I don't expect you to actually laugh. You're too serious for that kind of nonsense. And sir, I thank you for it. I thank you for your seriousness, and for all those indictments. *Grover Cleveland, you may or may not remember, was a Democrat, but obviously before the shift of the Democrats away from its southern constituency. So, John Boehner, Grover Cleveland is not an acceptable answer whatsoever.